CMC joint arthritis also known as thumb arthritis is the second most common form of arthritis in the hand and is characterized by the deterioration of the joint cartilage as a result of wear and tear on the joint. Cartilage cushions the ends of the two bones that make up your thumb joint allowing you to move your thumb smoothly without pain. With the deterioration of the cartilage, you are left with bone on bone resulting in increased pain, inflammation and decrease the range of motion and function in the thumb. The type of arthritis affecting the thumb joint is osteoarthritis. This type of arthritis affects almost 27 million Americans over the age of 25 and occurs more frequently in women. How to test for thumb arthritis. 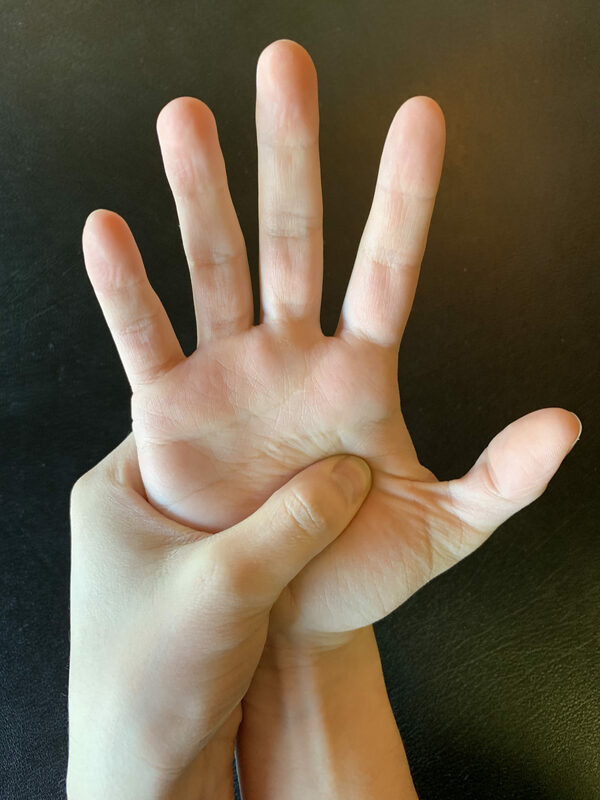 A simple way you can test for thumb arthritis at home is to touch the tip of your thumb to the tip of your index finger. When you complete this test you should see the shape of an O. If the shape looks more like a D that is an indication of thumb arthritis. 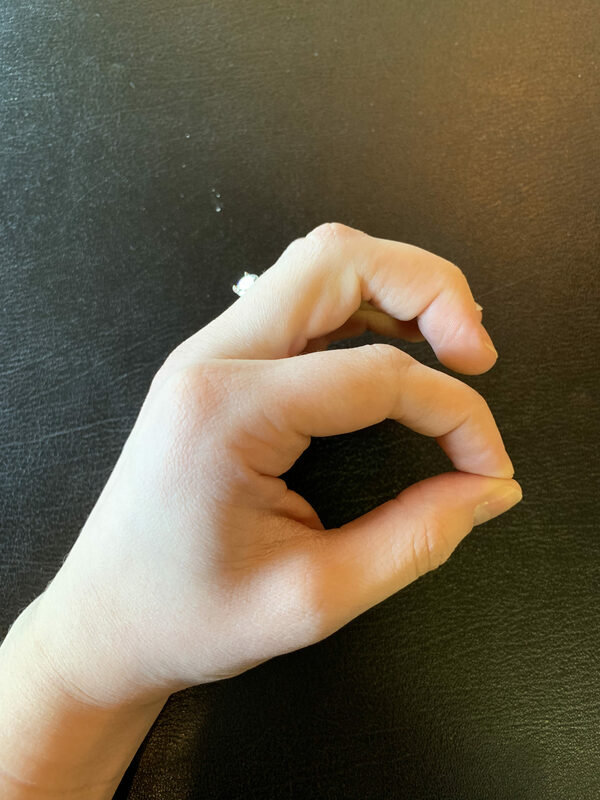 This “O” shape is indicative of no arthritis. This “D” shape is indicative of thumb arthritis. What can I do for thumb arthritis? Below is a list of some conservative treatments and exercises you can complete to help alleviate pain and promote the proper position of the joint. It is important to protect the joint from further damage and pain, which can be elicited with grasp and pinch motions of the thumb. 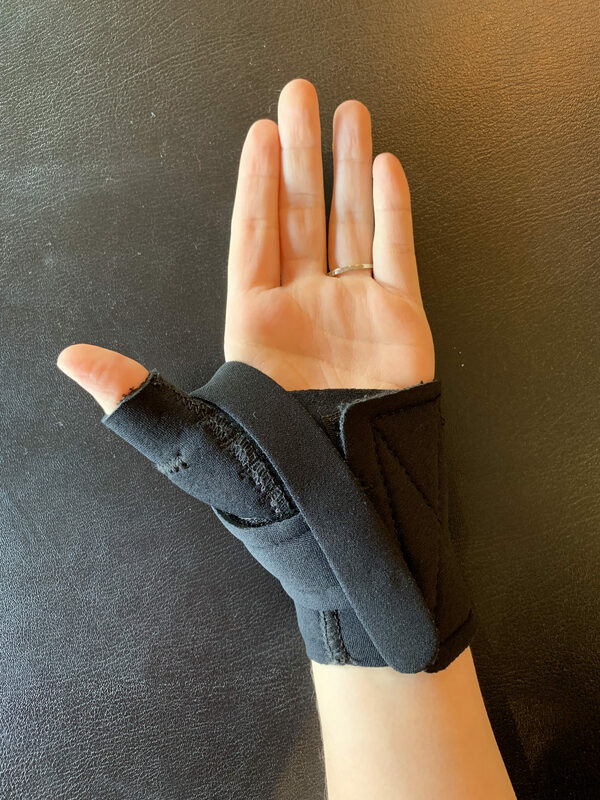 Here are some suggestions for joint protection: use large diameter pens, use a grip to open jars, avoid pinching items between thumb and index finger (as you would turn a key), use the whole hand to carry items. The web space between your thumb and index finger can become tight preventing your thumb from being optimal position. 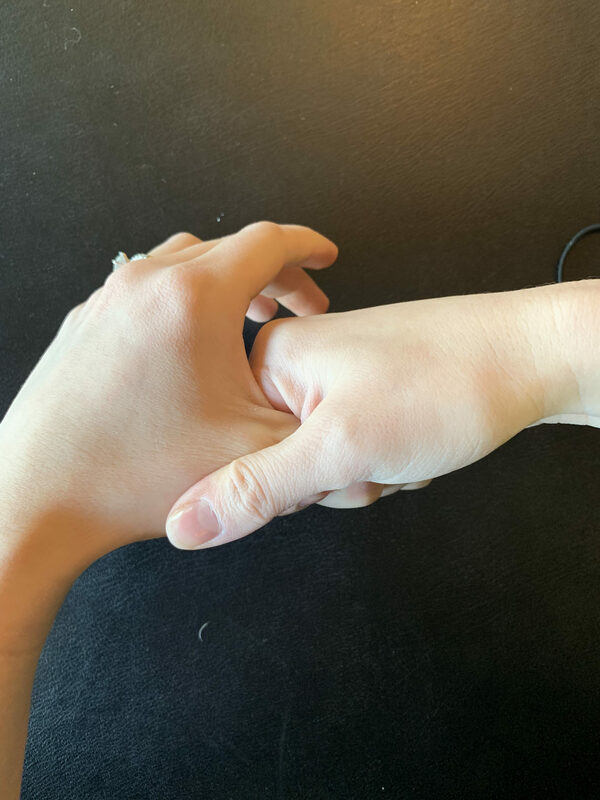 You can use your opposite hand to massage to the “meat” of your thumb or the web space between your thumb and index finger. If you are experiencing pain in both thumbs you can use a golf ball or the eraser of a pencil to help complete the message. 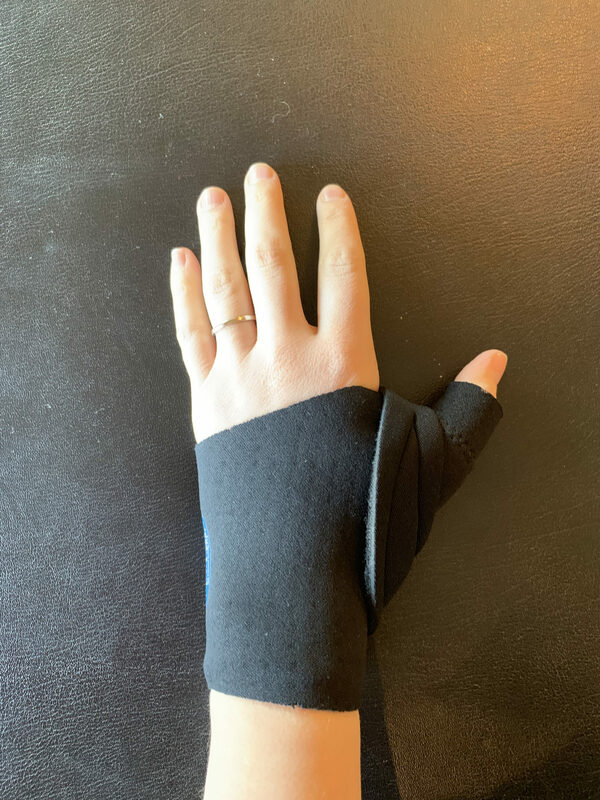 A comfort cool thumb brace can help rest the joint and allow the inflammation and pain to decrease. A hard custom made insert can be fabricated to put under the comfort cool thumb brace to put joint in optimal position. 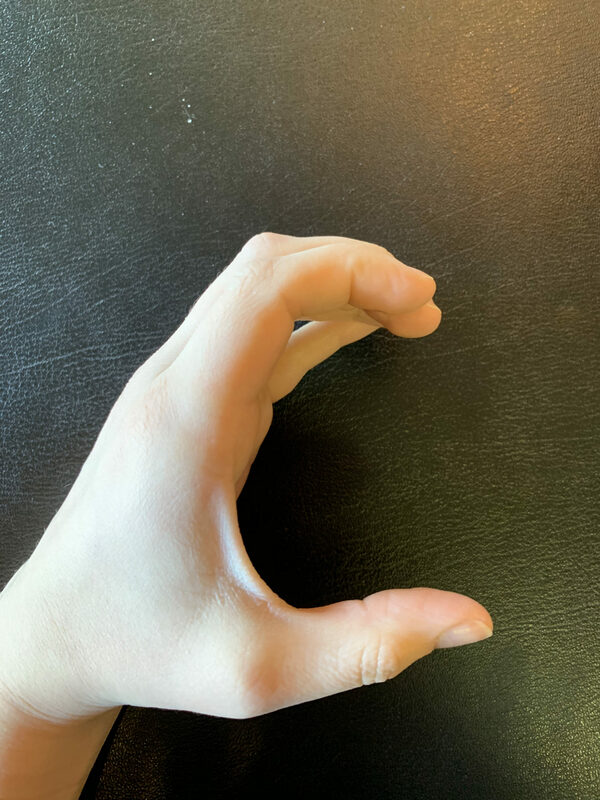 First, make a “C” shape with your thumb and fingers. 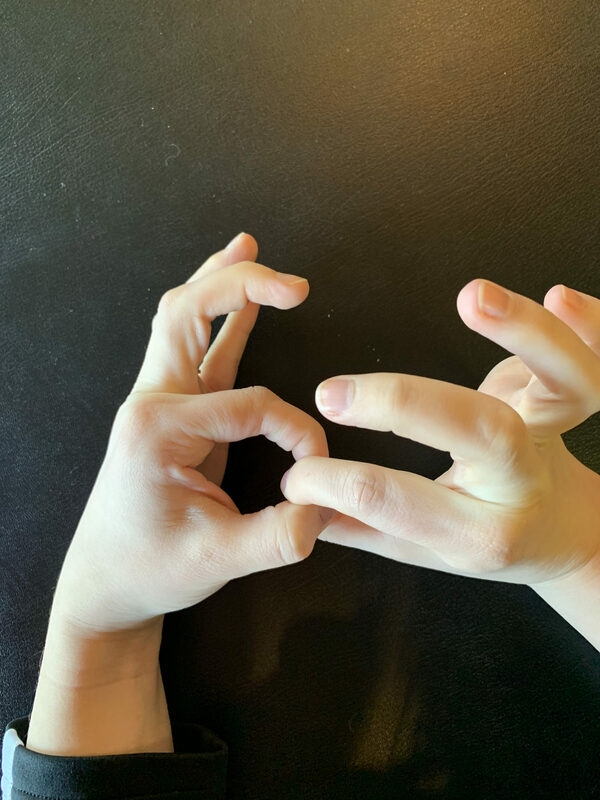 Then progress to making an “O” shape by touching the tip of your thumb to your index finger. 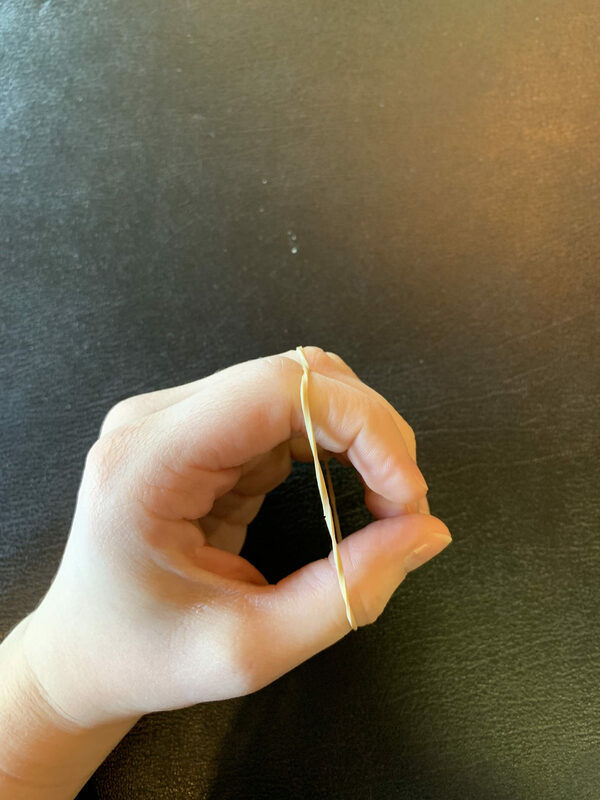 Once you can get your fingers in the optimal position you can begin strengthening by placing a rubber band around your fingers and thumb. You will next form the “C” shape again against the resistance of the rubber band. You can make this exercise more challenging by using a thicker rubber band. 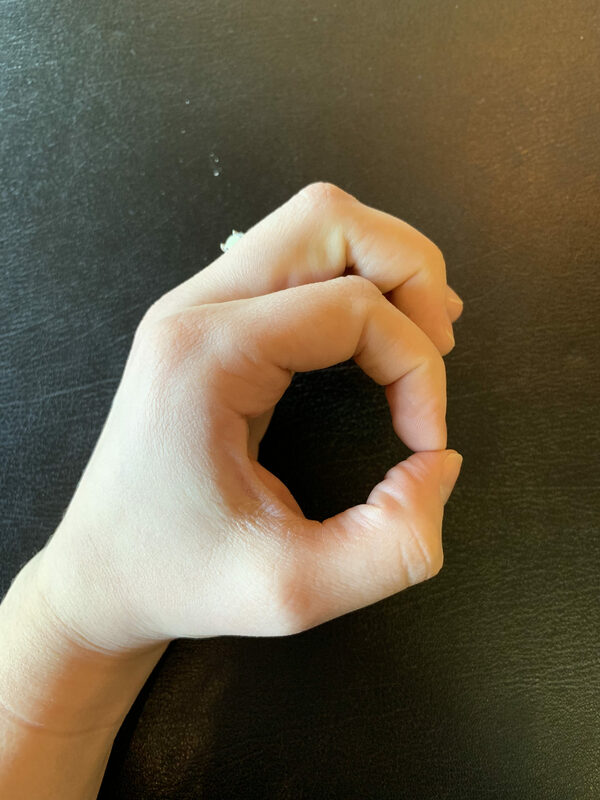 You can progress to lightly squeezing the index and thumb together while maintaining the “O” position or by using your unaffected thumb to try to pull the “O” position apart. Light joint distraction can take pressure off of joint to relieve some pain. This is completed by using the unaffected hand to lightly pull on the thumb to take some pressure off of the joint. If you have any questions regarding thumb arthritis or are seeking treatment, contact any of our locations for more information. Gillis, J., Calder, K., & Williams, J. (2011). Review of thumb carpometacarpal arthritis classification, treatment and outcomes. The Canadian journal of plastic surgery = Journal canadien de chirurgie plastique, 19(4), 134-8. Adrienne Loukopoulos graduated from St. Norbert College with a bachelors of science with a biomedical concentration. She then pursued Occupational Therapy at Mount Mary University where she graduated with a Master’s in Occupational Therapy.